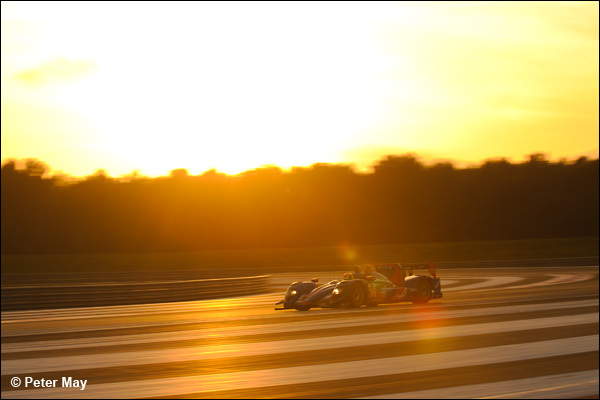 Rene Rast set the fastest time in this evening’s dusk/night session at Circuit Paul Ricard to stay true to the confident words he spoke to DSC earlier today. The smiling German assassin set a best time of 1m49.781s in the Sebastien Loeb Racing Oreca-Nissan to head a resurgent Signatech Alpine squad, who recovered from an earlier incident (see below) to end up just one hundredth of a second away from the Loeb Oreca. Zytek’s were third and fourth, with the #41 Greaves-entered version just heading the Jota Sport example. Tom Kimber-Smith set the best time for Greaves, while Marc Gene did likewise for Jota in his first laps for the Kent based team which he will drive for at Spa and Le Mans. 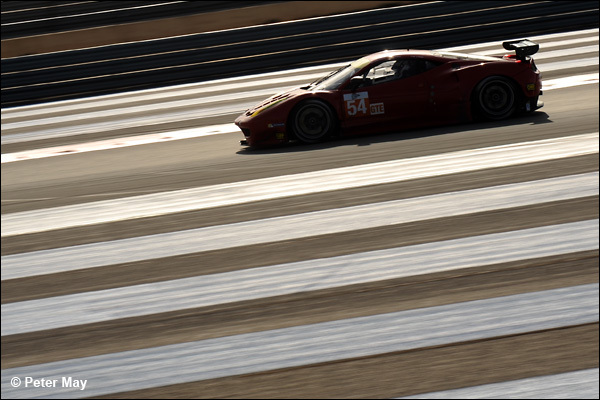 In the LMGTE class it was again the SMP Racing team that were fastest, with Andrea Bertolini nailing a 1m55.828s lap in the #72 Ferrari 458 Italia. Kessel Racing finished the day strongly with second-fastest time set by Giacomo Piccini in one of the Swiss team’s 458s. GTC was headed by the #98 ART Grand Prix McLaren MP4-12C, with Alexandre Premat doing most of the evening running and peaking with a 1m58.938s. Half a second behind the former Audi works driver came the Pro GT by Almeras Porsche; the always rapid Franck Perera hustling the 997 GT3R to a best of 1m55.436s lap. In a drama and red flag free session, 24 of the 37 cars set times with the majority of those that didn’t venture out preferring to concentrate on preparations for tomorrow’s six hours of running. After a bad start to the day, when Paul –Loup Chain crashed avoiding the #56 AT Racing Ferrari of Alexander Takanista Jnr, the Signatech team ended the day in a more positive manner. Oli Webb took the #36 Alpine Nissan to second place in the evening session with a best time of 1m49.791s. The team had worked throughout the day to ready the car after significant rear-end damage necessitated a change of gearbox. The team had a new transmission prepared from the second car it has as a reserve at Le Mans. Team boss Philippe Sinault explained that he is still seeking deals with drivers to be ready for a call to La Sarthe should the team be able to take advantage of any others’ misfortune between now and June. Chris McMurry was keeping a deliberately low profile in and around the Greaves pit as his boy Matthew gained more miles on his LMP2 debut at the tender age of 16 years and 4 months! “You know when he was in grade he did a presentation in his class and said he wanted to be the youngest driver to race at Le Mans,” said a very proud Dad. “So far his development has been step by step, but very measured and sensible. McMurry would not be drawn on any plans for his son at Le Mans but did reminisce about Matthew’s first visit to La Sarthe six years ago. Options are open to Matthew McMurry for the season ahead and announcements on which races he could be involved are thought to be imminent after the Ricard test concludes this week. 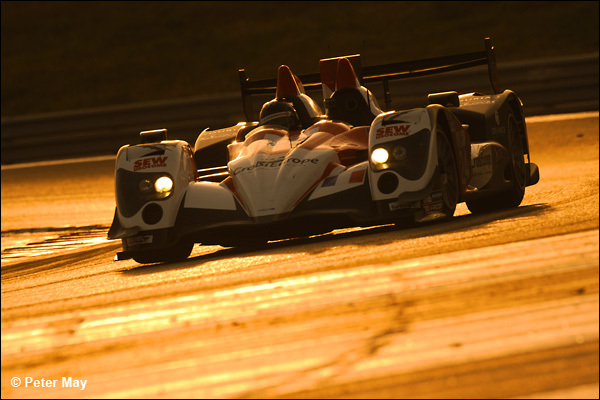 Jon Lancaster managed a good dusk stint this evening in the #28 Greaves Zytek-Nissan, finishing the fastest. The Yorkshireman had been entered to drive with Race Performance with the potential for a Le Mans seat, but Michel Frey’s huge accident this afternoon put paid to that. In hindsight, Lancaster made the shrewd decision to sign on as a Greaves driver as well and much enjoyed being re-united with the team he raced for at the Bahrain FIA WEC finale last November. 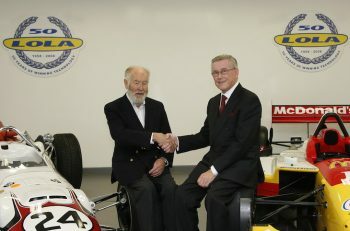 “I really enjoy working with the Greaves team,” said Lancaster. “The car is really nice to drive, loads of grip. I set a benchmark for Tony (Wells) and James (Littlejohn) and then did some more this evening so it is nice to help out. Lancaster leaves Paul Ricard this evening en route to Bahrain for the GP2 races. The Race Performance chassis is heading back to base this evening for evaluation, but the remnants of it did not look pretty despite the Oreca crash structure cone doing a fine job of protecting Michel Frey. Also suffering a hefty afternoon accident was the ProSpeed Competition Porsche 911 GT3 RSR. Greek racer Dimitris Deverikos gave the Belgian-run car a hefty frontal whack and the resulting radiator and engine damage is likely to see this car return north tomorrow morning in the team transporter. A familiar face in and around paddocks all over Europe, Michael Lyons was surprisingly having only his second ever test in a LMGTE car. “I have had plenty of races in GT3 cars of course but not so much running in a GTE car, but so far so good,” said Lyons. One notable absentee from the test is full-season Murphy Prototypes driver Tor Graves, who is suffering from Shingles. DSC wishes him a speedy recovery. The #48 Murphy Oreca-Nissan was set up by Karun Chandhok in the morning, before being driven by Nathanael Berthon, Rodolfo Gonzalez and Dillon Battisitini.